Viewplot can be executed from command line to load the input files directly by using the /d option. 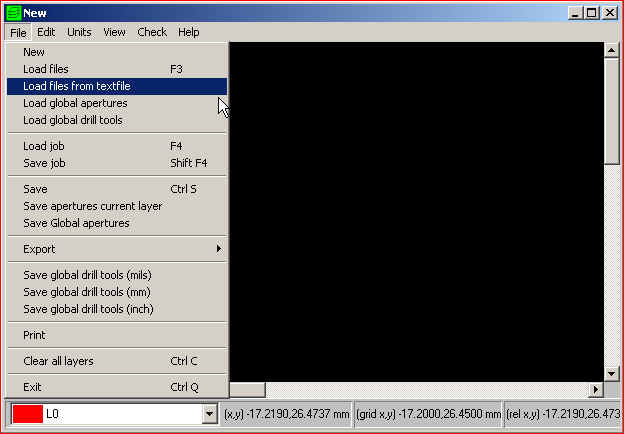 Note: viewplot.exe should point directly to the executable, or defined in the PATH variable. 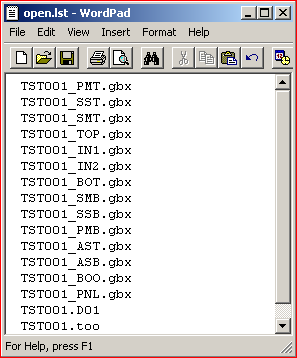 Load Files from a input text file "List"
Load Gerber/Drill files defined in a text file, all files will be load into Viewplot after executing Viewplot with the /x option.. Create a text file with all the files to be opened in Viewplot. Note: All files will be loaded in the same order as defined in the "list file"
The same text file from above can be loaded into Viewplot in interactive mode as well.